Are you thinking of a trip to Austria, and want to combine the outdoors, the arts, city-life, great food and an exciting place to stay? You’d love Innsbruck. Innsbruck is an amazing place to plan a trip. 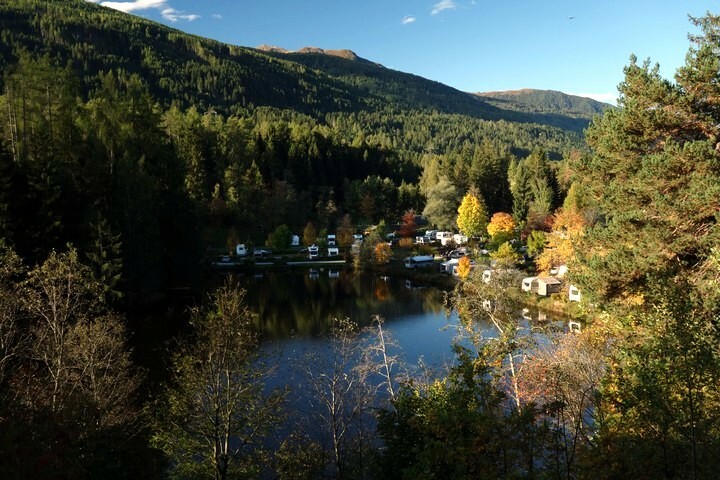 The skiing, hiking, and adventuring are matched only by the town’s fun hospitality. 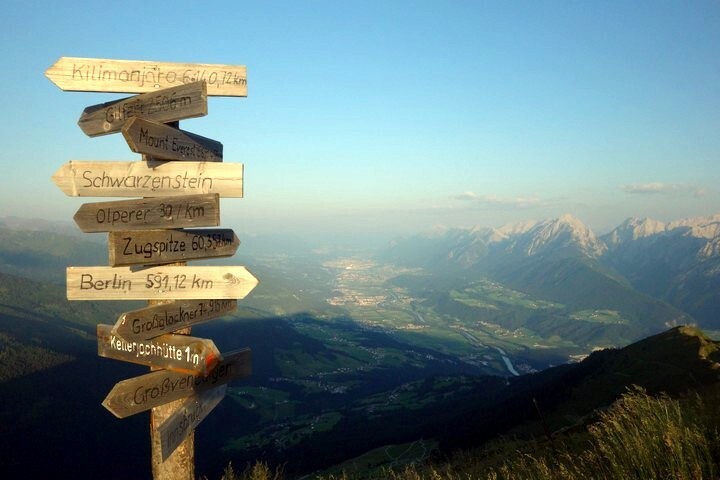 Get all the information you need to start booking your holiday to Innsbruck below! Innsbruck is the capital of Austrian state of Tyrol. It’s Austria’s fifth largest city, and it’s a great place to vacation! 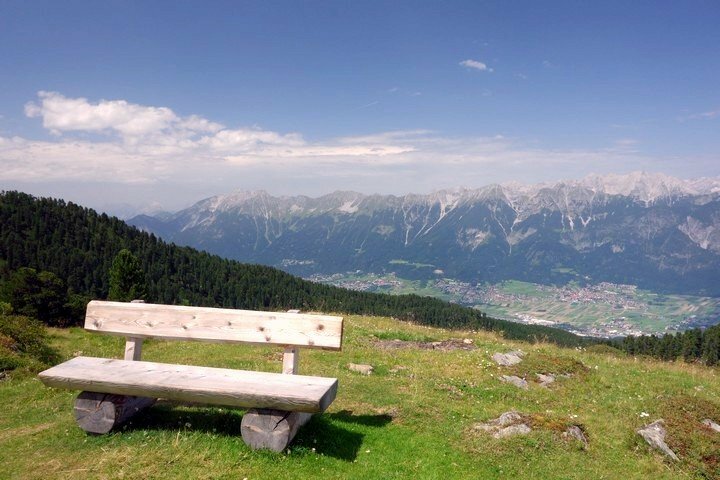 Its alpine nature makes it a natural wonderland for skiers and winter sport enthusiasts in general, which is demonstrated by the fact that Innsbruck has hosted the Winter Olympics (1964, 1976). 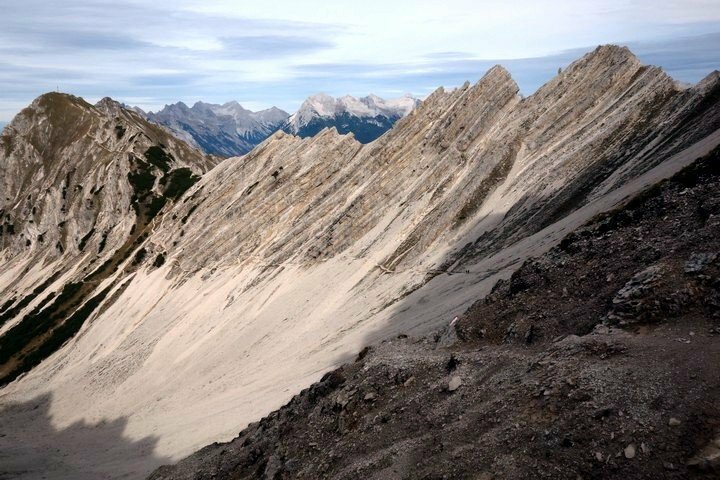 The mountains around Innsbruck provide great adventuring opportunities in the summer too. 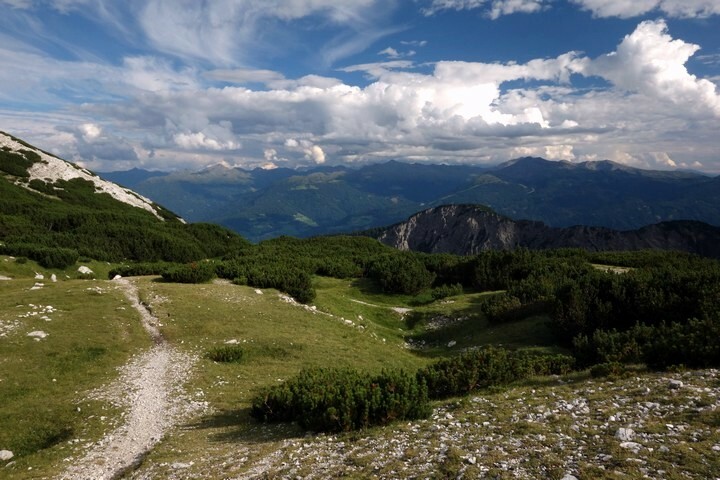 For example, check out all these amazing hikes we have in Innsbruck. There is also climbing, mountain biking, and more to keep you busy and active. In your down time you’ll find the city and the old town provide more than enough entertainment. You can walk around and soak in the cities rich cultural appreciation for architecture. When you need to rest your feet you’ll easily be able to find a nice beer hall to find a refreshment in. One great thing we love about Innsbruck is the Innsbruck card. This amazing card costs you around 40 euros, but it has a massive list of possible savings. You’ll get free public transport, a free guided city walk, free use of the hop on hop off tour bus, one return trip on each lift and cable car around Innsbruck, free three hour bike rental, and more including free admission or discounted admission to the majority of the cities museums and attractions. Unless you plan on only skiing, this card is a no brainer. You should be able to easily fly into Innsbruck Airport (INN). The airport is serviced by Frankfurt, Munich, Gatwick, Heathrow, and more. The airport is then just a short 4km outside Innsbruck. A bus arrives to the airport to take passengers to Innsbruck every fifteen minutes during the busiest hours. Some people fly into Munich (MUC) or Salzburg (SZG) airports, which are a roughly 3 hour train ride from Zell am See. 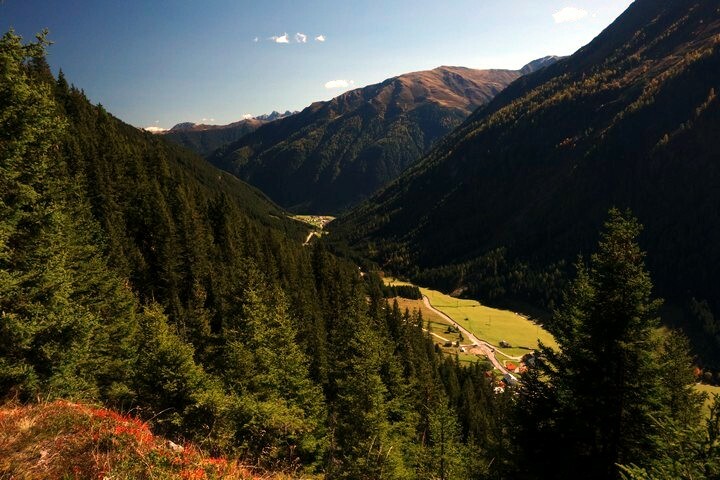 We love Innsbruck year round, however fall and spring tend to be low-season. It’s true that things will be cheaper, but we found that the weather was harder to predict, so spring and autumn are better for last-minute holidays if you’re planning an active outdoor holiday. Other than that, you can visit between December and April if you want to catch the snow. You can visit between May and September / October to experience the summer. The buses are decent in Innsbruck, and if you get a weekly bus pass (around fourteen euros) you’ll likely save money because the two-euro riding fee is pretty steep. If you get an Innsbruck card you’ll have even more freedom. You will, however, want to rent a car if you’re planning on going on lots of our hikes. The hikes are pretty spread out and some trailheads won’t be accessible by bus. The good news is that the bus does service the nearby airport, so this is a trip that could conceivably be accomplished without renting a car. Innsbruck is such an amazing city because you have great hotels surrounded by loads of adventures. It’s all wrapped up in one amazing package. So, here are all the best places to rest in-between your adventures in Innsbruck. Our first recommendation is always Hotel Nala. It’s a unique boutique hotel with many different rooms. There are no cookie cutter rooms. You can go onto their website and scroll through them yourself. 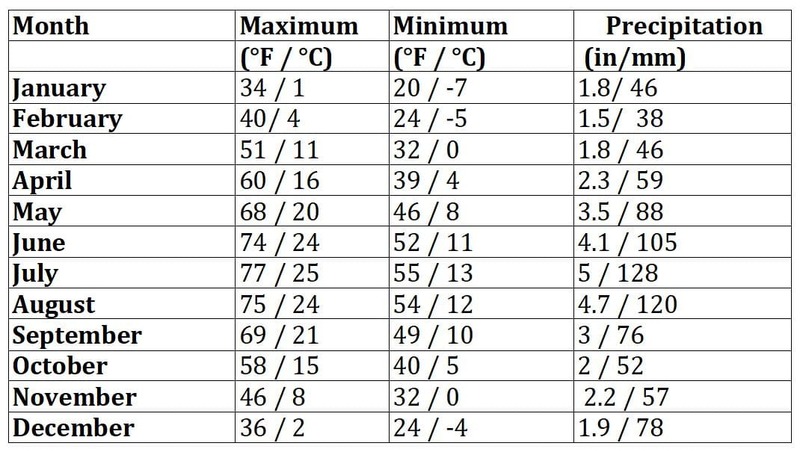 You can find a few rooms here for an average price (keep in mind that Innsbruck is a popular town and the averages might be slightly higher than other destinations). It’s very special. You aren’t going to find a Nala in just any city. Our luxury pick is The Penz Hotel. This four-star hotel is done up in an updated modern style. While it isn’t flashy, we found everything to be clean, functional, and of a high quality. The breakfasts are great, especially on the rooftop lounge. We also loved the location – right by the town square. Another unique option is a stay at the Park Igls. This hotel is also aimed at healing you. They offer many spa and fitness programs as well as meal planning during your stay. The Park Igls is worth looking into if you’re looking to de-stress, detox, help your allergies and skin, improve fitness, or reach those weight loss goals. You can get all this and more in a luxurious package. We also like recommending the Wirsthaus Nattererboden, especially for wine lovers. They’re primarily a restaurant (which you can read more about below), but they do offer two rooms as well as two apartments. It’s also great for kids because there are lots of farm animals on the property that the kids are allowed to go watch. It’s just south of Innsbruck, so it’s best to have a car. Nepomuk’s B&B Backpackers’ Hostel is a totally amazing way to stay in Innsbruck for cheap. There isn’t a lot of room. You’ll likely have to call ahead to reserve (and you will have to call they don’t take reservations over email); however, it’s worth the effort because you can get a pretty good two-person room for cheap! There’s also an awesome café attached to the hostel (owned by the same people) that serves a delicious continental breakfast in the morning. If you want to make a longer trip out of one of our hikes, make sure to look into the huts. 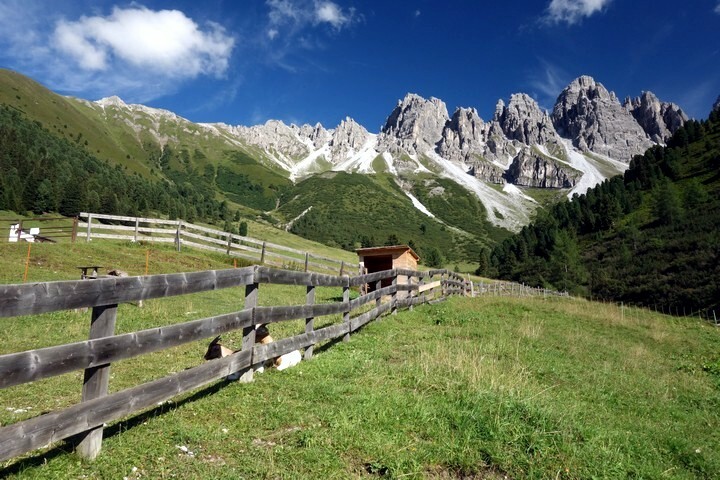 For example, if you’re on our Sellraintaler Höhenweg hike you can stop at the Roßkogelhütte to turn the gruelling 16km hike into a more manageable two-day hike. We like splitting the Kellerjoch Loop’s 9km into two days because the sunrise from the Kellerjoch Hutte is really something. The Goethewag’s 15km is easily split thanks to the Pfeishuette Hut. You could also consider staying at Gasthof Eichof Natters while on our Natterer See hike, or at the least you could stop for a nice lunch. Innsbruck is a great foodie city with options for everyone; however, there’s also a rich traditional food scene. One of our favourite restaurants in town is Die Wilerin. They do a menu that is heavily influenced by Austrian cuisine. The food, and the décor, has been updated, given a touch of modern flare. If you want fine dining in Innsbruck you’ll have plenty of options. Our favourite fine dining restaurant is Bistro Gourmand, but it’s hard to go wrong with any of the fine dining in Innsbruck. We enjoy the atmosphere at Bistro Gourmand because it is a smaller bistro with easygoing staff. The food is extremely delicious, and it’s a little old school. Olive is great if you’re looking for something with lots of vegetarian and vegan options. It’s mid-range in price but the décor and plating really make it feel like you’re out at a fine dining establishment. The locals really love it here. Acknowledging that you’re in Austria, you might want to knock back a few beers in a proper beer hall at some point. Tribaun is the beer hall we like most, but is there such a thing as a bad beer hall? Tribaun is not a massive room, but the beer list is massive. It’s a simple place that is focused on great beer. If you want somewhere to drink and eat amazing Mexican food (in Austria of all places) then check out Machete Burritos. The food and atmosphere are amazing and the drinks are good too. This place is a lot of fun. There’s also lots of great cheap eats in town too that can make great takeout or just an easy way to fill up after a big day of adventures. Thai Li is a great if you want take out or if you want to dine in. It’s easily the best Thai place in the region. For pizza we recommend Die Pizzerei. It’s a classy pizza bar with good pizza at a low price. They also do great pasta. In the winter skiing is obviously the main activity. There are loads of great mountains throughout the Alps and you likely didn’t need us to tell you that. There is also a great winter market in Innsbruck, which we love! Located in the historic city centre, the Old Town Christmas Market brings great food, drinks and crafts to this medieval part of Innsbruck, and is an experience you won’t forget. What you might not know is how much there is to do during the other months in Innsbruck. 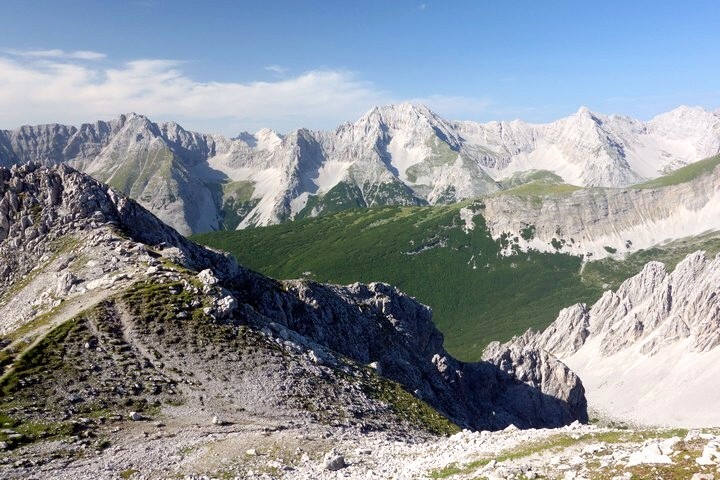 Climbing the surrounding mountains is a great thing to do in Innsbruck during the summer. If you’re interested, the folks at Alles Klettersteig will be able to help you get climbing. Their service is accessible, and it will give you a real sense of accomplishment. The views you’ll get are also breathtaking. Do you want a memory that will really last a lifetime? Check out Skydance Tandem Paragliding! Their whole business is built around making a fun, comfortable experience. You might not think that it’s something you can do, but you can do it with Skydance! You may have tried hiking in the region, but have you tried taking the trails by mountain bike? 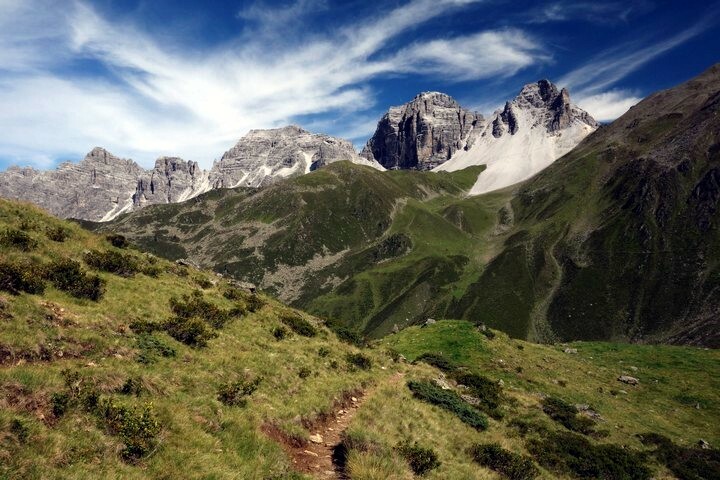 Tirol Trailhead is a superb guiding service in the area if you’re looking at getting onto the trails. You can go to Crazy Bikez if you’re looking to rent. We liked strolling around the old town, and we would recommend some time doing that. Then make your way to the Hofgarten, the central park, to stroll around and appreciate its nature. If it’s raining out, or if you need a break from the adventures, check out the Cathedral of St. Jacob. The painted domes and the architecture is something to behold, plus the Innsbruck Card will get you free admission. Check out Schloss Ambras Innsbruck if museums are what you’re after. This old castle is historic in its own right, but then it also is filled with fascinating exhibits, some of which change every year or so. 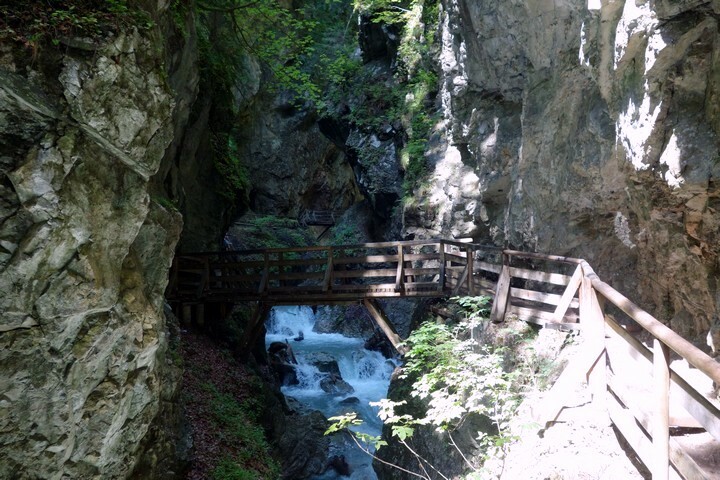 Our hikes come with difficulty guides, but make sure you understand Tyrol’s own system. “Hiking Trails” are the easiest. “Mountain Footpaths” are moderate to difficult, and red-marked trails are easier than the black-marked trails. “Alpine Routes” are the extreme adventures meant for experienced mountaineers with sure footing. Stay on the marked trails. It’s bad for the nature around you and it could be dangerous for you too. The paths are made to avoid as much loose ground and sheer drop-offs as possible. Download the Tirol Emergency App for quick access to the Tirol Control Centre in case of an emergency. Do not leave rubbish behind and avoid making excessive amounts of noise. The threat of bears does not exist like it does in North America, so you don’t need to be loud to scare them off. Being loud scares of the calm grazing animals and disrupts them. Always be respectful of the nature and wildlife. Tipping is common in Austria at bars and restaurants but only 5-10% and only if the service was good. It’s not necessary to tip for a coffee or pastry, but people may leave change rounding up to the nearest euro.